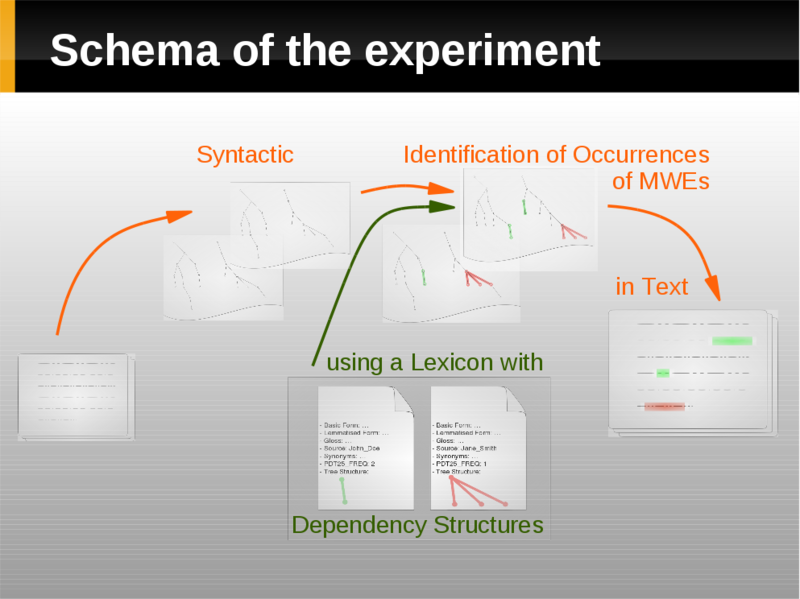 We use a SemLex lexicon (compiled during the manual annotation of MWEs) to identify occurences of its MWEs in text. SemLex contains (deep) syntactic structure for each entry and we search all identical occurences of the syntactic structure in the parsed text. The comparison with surface syntactic (and even surface text) approaches is unconvincing; however the project is just starting and the first experiments were done.